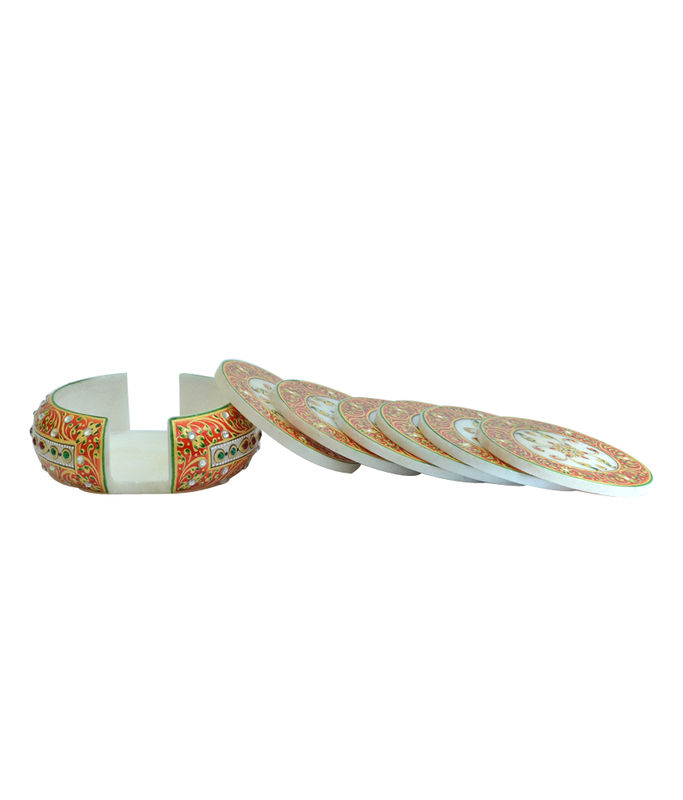 Need a royal tea break, take a royal feel in your tea whil having your tea with these classy hand crafted coasters directly from rajasthani artists perfectly painted add elegance to your lifestyle. 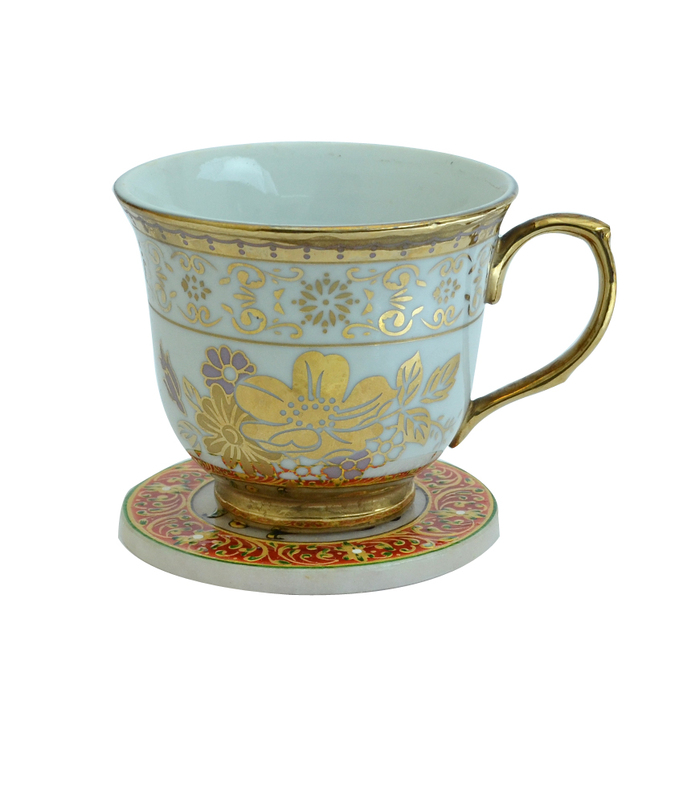 This Cup will not be include in the box this is use only for presentation of product. Product colour may slightly vary due to photographic lighting sources or your Screen settings.